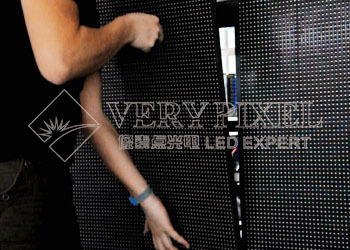 Verypixel front service LED display product "VP-Smartile" advantage summary - Shenzhen Verypixel Optoelectronics Co., Ltd.
1. These brilliant LED modules allow both front and rear service. They can totally achieve WYSIWYG (What You See Is What You Get). 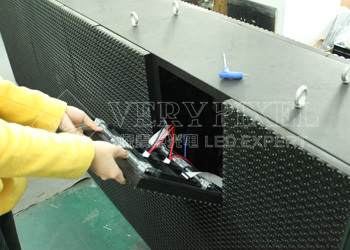 For example, if you found any failure module in traditional LED screen, you have to spend a lot of time to the rear side to find the fault module and fix it. But if you use a front access LED module, you can just find the failure module immediately and fix it from the front side directly. 2. 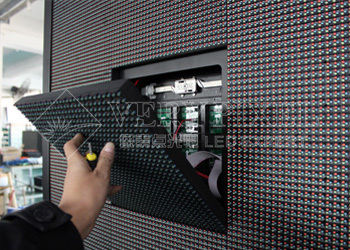 Front access design allows making any LED panels available from the front side, which is suitable for some special locations where there is no more space for rear maintenance. It can also help to save a lot of spaces. 3. The back use humanized design makes the module more convenient to hold and be able to double-layer waterproof. 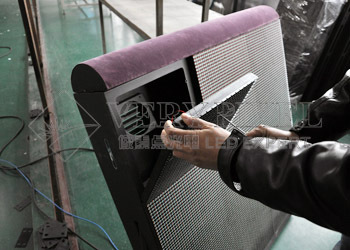 Even though the water can seep into the screen, it will not cause any damage to the LED panels. 4. The module fast lock makes it supper easy and fast to assemble & disassemble. It only takes you 8 seconds. With this, you may save a lot of time and labor cost. 5. This former module is in a very light weight, only 1.7kg(kilogram), which could hang mount the wall or lift more easier. 6. We called it Smartile is because it likes a Smartphone is available to update/ upgrade.That’s because all the cabinets are customized and all the range of pixel pitches modules are totally suitable for the cabinet structures.